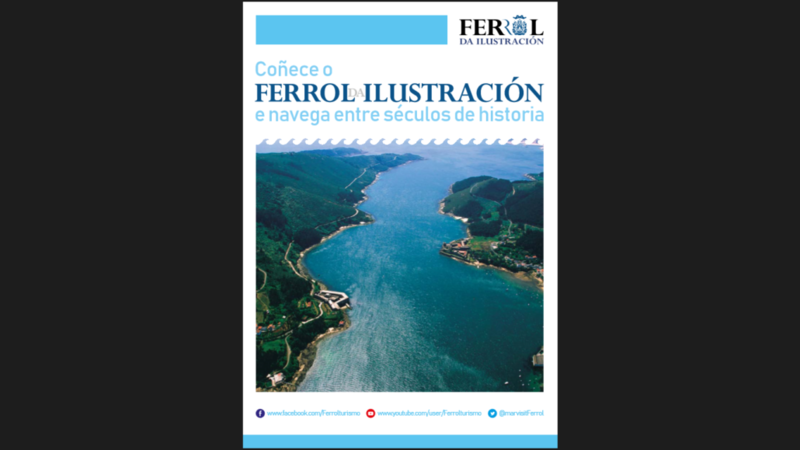 The port of Ferrol is one of the safest in the world due to the particular shape of its estuary and orography. 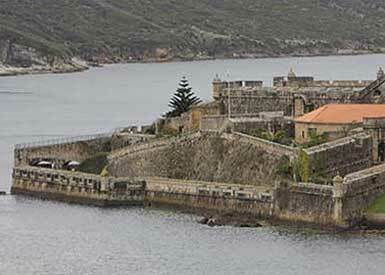 Towards the end of the 16th Century, King Philip II decided that Ferrol’s estuary should be used as the base for the Royal Army. 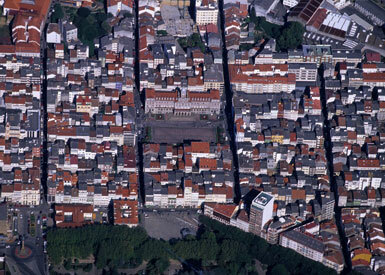 In the 18th Century, Ferrol was designated capital of the Maritime Department of the North. Phillip I ordered the creation of the Royal Arsenal and the subsequent shipyard in the nearby village of A Graña. Later, Ferdinand VI ordered the construction of a mayor shipyard in the village of Ferrol, dedicated almost exclusively to the construction of Army ships. 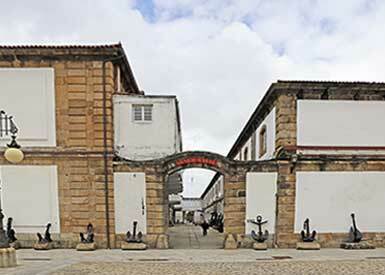 Thus, the Ideal port of the Enlightenment was born, a certain name that Ferrol uses in its aspiration to be acknowledged as World Heritage status. 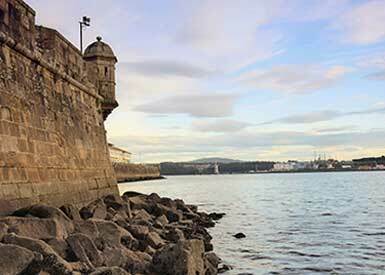 This bulwark or military battery sticks out from the Old Town of Ferrol, offering a magnificent view over the port of Curuxeiras flanked by a defensive wall known as La Cortina del Arsenal on the east side, with many cannons.. 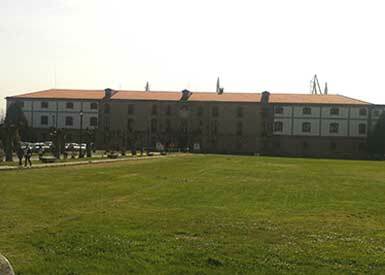 Declared an Asset of Cultural Interest, it has the honor of being the oldest barracks in Spain. 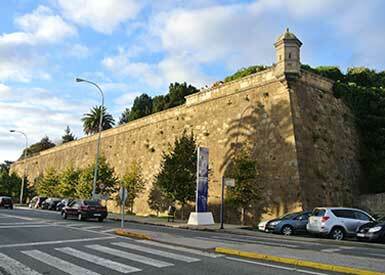 Its construction began in 1751 and since 1771 it hosts Spain’s marine infantry troops. 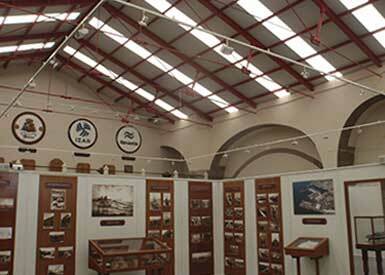 It is probably the main museum dedicated to the history of Shipbuilding that exists in the world. 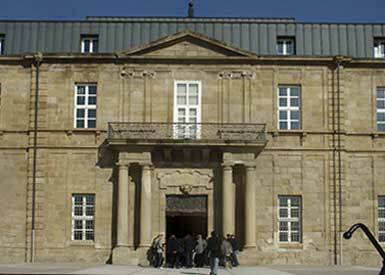 It is a building designed in the eighteenth century by Sánchez Bort, located next to the Herrerías building and formally used as a prison. Today, it allows us to revisit to the most glorious moments of the Spanish Army over the centuries. The current shipyard of Navantia is heir to the facilities and background of the past 300 years. Navantia is a world reference in the design and construction of military ships equipped with the latest technology. 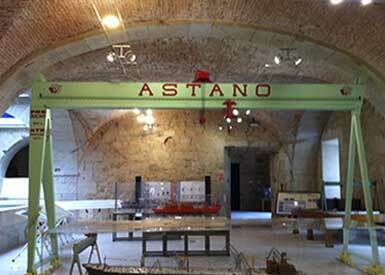 A monumental building that hosted the General Captaincy of the Cantabrian Maritime Zone in the past . 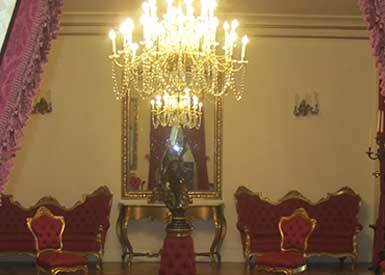 Its austere exterior contrasts with a sumptuous interior with large carpeted rooms. In spite of its name it can be said that it is the center of Ferrol, since here is the Town Hall and the main shops and a large number of restaurants. Semi-peatonal, it was declared a Historic-Artistic Site in 1983.